The coastal settlement of Cascais originated in the 12th century. The former fishing village gained fame as a resort for Portugal's royal family in the late 1800s and early 1900s. Due to Portugal's neutrality in World War II and the town's elegance and royal past, Cascais became home to many of the exiled royal families of Europe, including those of Spain, Italy and Bulgaria. There is now a yacht harbour, several small beaches, a ruined castle, an art and sea museum, parks and the cobbled streets of the historic centre. The town has many hotels, tourist apartments and restaurants. 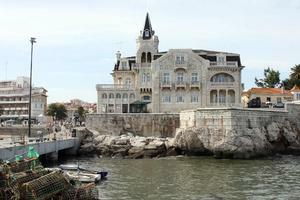 Cascais is a famous vacation spot, a residential area for the Lisbon jet-set and favourite night spot for young people.